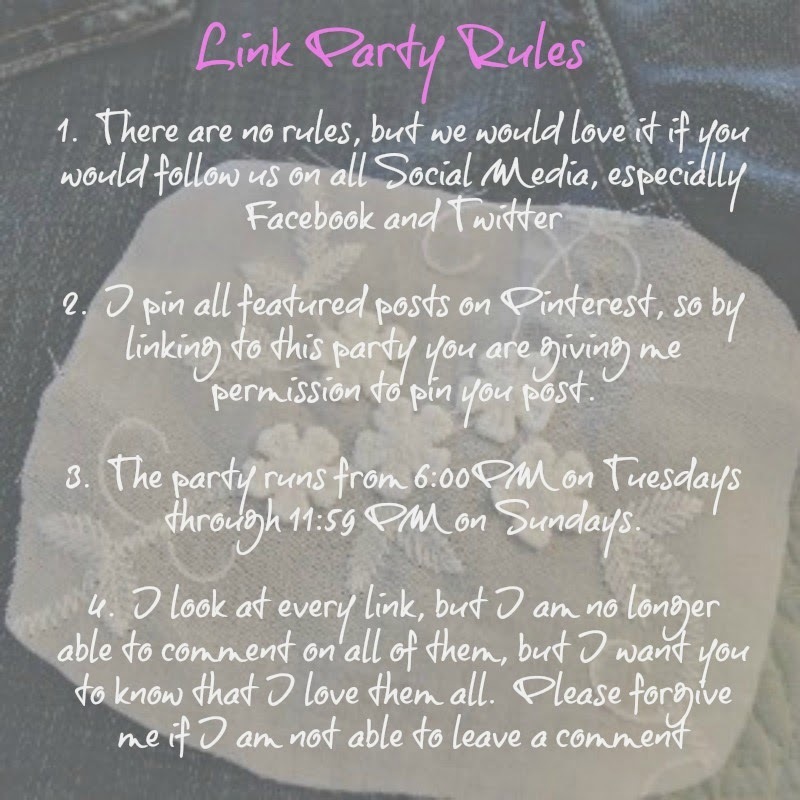 I want to thank everyone who shared with Wednesday's Adorned From Above Link Party 101. We love seeing all of your posts. 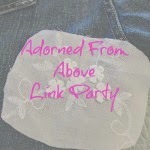 Welcome to Adorned From Above Link Party 102. We will show this weeks featured bloggers next week. We are not able to do it this week. We are happy to have you at this week's party. We always love hearing from you, so leave your comments. We are slowly working through all of the emails that we have received. We will be answering them over the next few weeks.